In his tenth novel, following The Enchantress of Florence, Salman Rushdie blends history, mythology, and a timeless love story set in a near-future age of unreason. Following a strange storm in New York City, everyday people awaken to strange powers, little guessing that they are the many offspring of a capricious jinn princess named Dunia and a mortal man of reason. The line between worlds is about to be breached on a grand scale, and over the following two years, eight months, and 28 nights—a thousand and one nights—Dunia's children will all play roles in an epic war between light and dark. In this enormous upheaval, beliefs are challenged, words act like poison, silence is a disease, and a noise may contain a hidden curse. 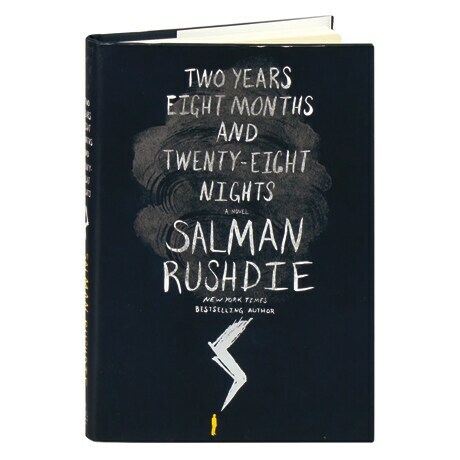 Inspired by traditional "wonder tales" of the East, Rushdie's novel is satirical and bawdy, full of cunning and folly, rivalries and betrayals, kismet and karma, rapture and redemption.